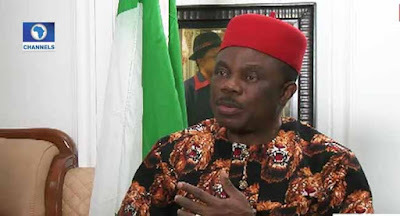 The Governor of Anambra State, Willie Obiano, has said that Lagos State is what it is because of the impact of ‘Anambrarians’ on the state. According to him, “Anambra made Lagos what it is” whether anyone accepts it or not. He made the comments during an interview with Channels Television while stating developments in the state as well as his plans for the next four years as he succeeded in his re-election bid after securing a landslide victory over 36 others gunning for his position. "Before I came in, security was an issue. I came, I saw, I conquered and it’s not a static thing. Security is continuous, so we are moving and we are going to put in more efforts to ensure that the next four years is even far better than they have seen it now. “I’ll keep awake so that all Anambra people and those living in Anambra can sleep with their two eyes closed. “I’m not going to drop the ball, my eyes are on the ball. I am working hard to ensure that at the end of my eight years, governors coming after me will not have to depend on FAAC to run the state and that’s what I’m doing in investments. Security is the greatest thing that I have done and it is bringing a lot of people in. “The greatest thing we want to do is to emulate what the Israelis have done. We have very rich Anambra people all over the world – Anambra made Lagos what it is, whether they want to accept it or not – the taxes that are paid are mostly by Anambra people. “The development that is going on there, the houses that are owned there – it is the same all over the place but none in the south east. Why? First no security then, now we’ve gotten security. Also According to him, his administration is already doing so much in agriculture and it is set to do even more. He also noted that the ‘Choose Your Project’ community project which his administration started has gone a long way in improving the standard of living across communities in the state. “One of the things that won me accolades amongst all the local governments basically was the Choose Your Project community project – 40 million per community. “All communities are choosing their second project now, it has never happened in the history of Nigeria anywhere at all. Every community even the remotest place in Anambra benefitted from that project. Apart from the schools, we built for them they now got the money and we are trying to build a bridge too, roads and what have you. 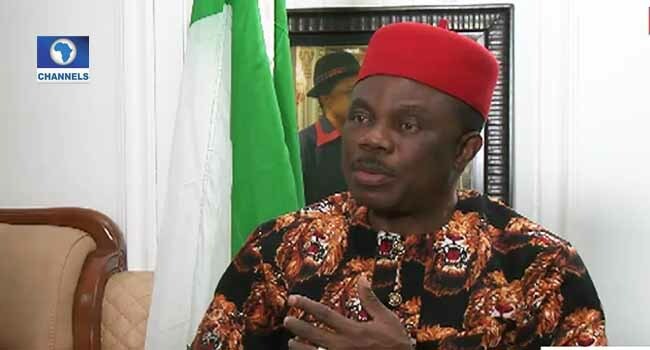 Furthermore, the governor expressed gratitude to the people of Anambra for choosing him to lead them again and he gave the assurance that the administration will touch the lives of less privileged in the state. He also expressed confidence that subsequently his party, APGA, will win elections in other South- East states. “Well, first I thank God the almighty for making this possible and the overwhelming endorsement by Ndi Anambra, that I should move on with what I am doing for them. “This second administration will touch the lives of the less privileged, the common man on the street who voted for me, it will also touch the lives of the big people whose industries will employ the young ones that we are bringing. “This victory will have a permanganate effect on the south-east. We are going to win all the states in the south-east. Nobody has won 21 over 21. We scored 100% – it was a full endorsement by the people, I was returned unopposed and it hasn’t happened in history despite all the campaign of calumny by funny people all over the place. “The same thing will happen there and we will do like the Yoruba’s did. They started from Lagos – AD – won some of the states in the west, now formed a block to be able to negotiate with the centre. “That is our strategy and we can achieve that with ease,” he added.